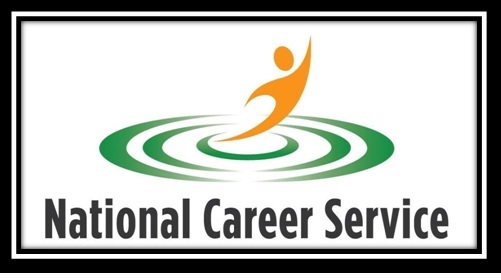 Indian central government has launched a new portal namely National Career Service Portal. This is a one stop career portal under which unemployed people will get every kind of assistance related to jobs. The youth of the nation will get to learn more and will be able to develop their skills more with the counselling and such. Alongside the portal provides information regarding local helps such as carpenters, plumbers and other household needs. It is developed on the basis of Information and Communication based Technology. The portal will have job related details for any unemployed person in the country. There are many services that this portal is offering. They are mentioned below. Primarily the portal was launched to educate unemployed about the skill and other knowledge regarding employment, as mentioned above. Job counselling, placement, career centres and many more important guidance will be provided to the budding young population of India. To access all the services one has to register with the portal. No charges or costs are required to register directly on the portal. The charges can be applied to the students taking counselling sessions or so on. There are a number of services the portal offers for the youth of the nation. Along with job seeking and learning, organisations, job providers, counsellors and a lot of other service providers can attach with the portal. The following services are available in the portal Advisor, Career Centre, Counsellor, Employer, Government Jobs, Job Seeking, Job Applications, Local Service Providers, Placement Organisation, Reports & Documents, Self Employment and Training Institution. All of these mentioned services will be available in this portal. Local Service Providers include household works like plumber, driver, carpenter, casual workers and such. One can directly apply or register on the portal for better accessibility. To register in the portal one has to click on the following link https://www.ncs.gov.in/Pages/default.aspx that redirects to the Home Page of the official NCS website. On the right side of the page the login box will be appeared. Applicant has to click on the ‘New user, Sign up’ button to register with the portal. In the new page, one has to choose what service he/she is willing to take from the drop down list. Whether it is job seeking, skill provider, counsellor or organisation – the applicant has to choose before proceed with the registration. In the registration page, name, mobile number, guardian’s name, higher study details, aadhaar number and gender must be mentioned. Also password should be entered too. This will be the password for logging in to the website. After finishing the registration the login ID and password will be given to the applicant. The applicant can use that for log in to the website in future and take up any of the services. Finding job under this portal is much easier. First of all the applicant has to register with the portal as ‘Job Seeker’. After logging in to the website, he/she can click on the Job seeker tab in the main menu bar. Click on the Government Job tab for available jobs in the nation. Unemployment has always been a major hurdle in the path of national progress. Like many other states, the current CM of Goa, Manohar Parrikar has launched a new site that will offer job seekers and employers multitudinous opportunities. The name of this job site is National Career Service Portal. Apart from searching for jobs in Goa, youngsters will be able to keep a tab on national job markets as well. The site will bridge the gap between job providers and job seekers easily.